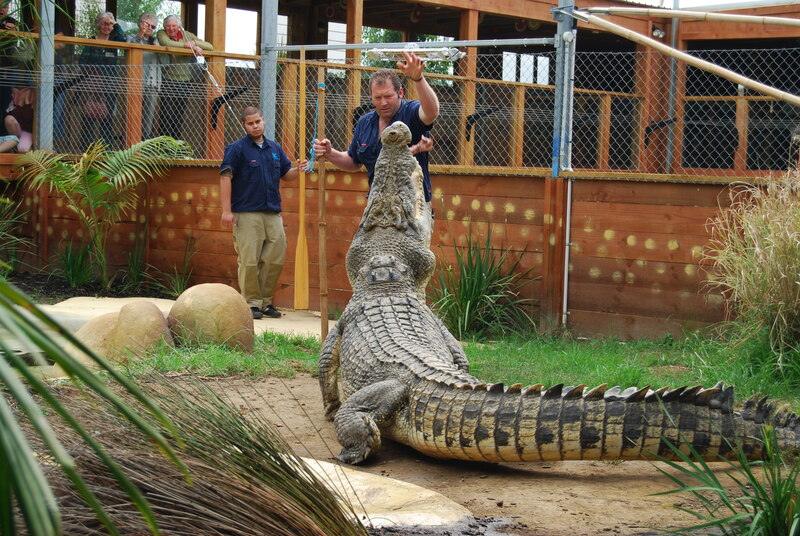 In April 2009 our two huge Aussie Saltwater crocodiles were saved and relocated from Australia to their new tropical billabong home at Butterfly Creek. Scar and Goldie were captured as they had become problem crocodiles. Crocodiles are ambush predators which means that they wait for their food to come to them and they do not need a massive land area in order to be happy. These guys have the life – sunbathing, eating, sleeping and swimming! Keepers feed them small amounts in the encounters, ensuring they ‘work’ for their meals. 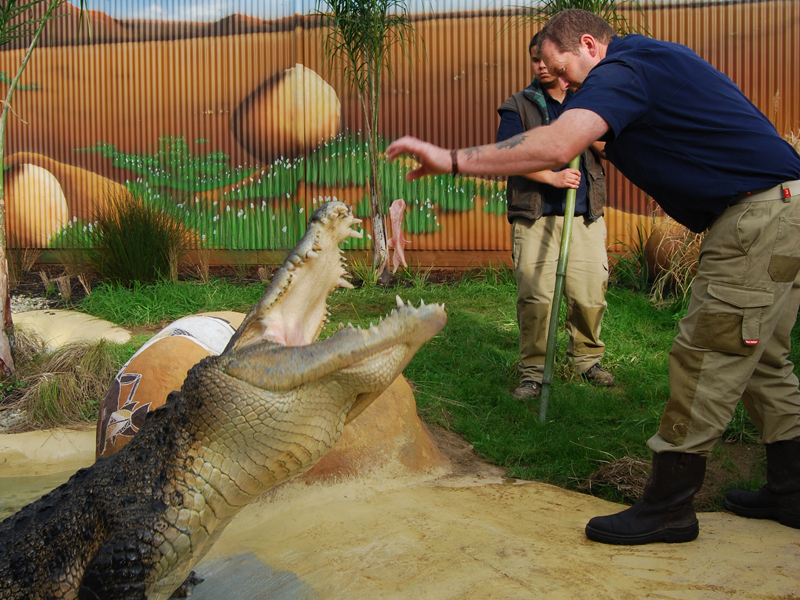 Visit Butterfly Creek and get close up to Scar and Goldie in their awesome 27-30 degree enclosure, you can even catch them in action with our keepers at our daily crocodile show, every day at 1pm. For full info on our Daily Encounters click here. Name: Goldie – named due to the colouration of his hide. Interesting facts: Goldie featured in a small film which was shown at the Cannes Film Festival. He loves to pretend he is a rock & sink to the bottom of his pool! Name: Scar – from the snout injury sustained when he broke through a corrugated iron barrier at his previous crocodile farm home to attack his male neighbour. He did not want to share his girlfriend. Interesting facts: He hates boats! (See the poor old red boat in enclosure).